Some prominent Yoruba leaders under the aegis of South-West Forum have adopted the presidential candidate of the Peoples Democratic Party, PDP, Atiku Abubakar for the 2019 election. At the end of the colloquium tagged, “2019: South-West Speaks”, the Yoruba leaders resolved to support Atiku for the 2019 Presidential election because of his promise of restructuring. The event was held at at Muson Centre, Onikan Lagos. A prominent Yoruba leader, Dr. Remi Akitoye moved a motion for the adoption of Atiku as the South-West candidate for the 2019 election. The motion was unanimously adopted. 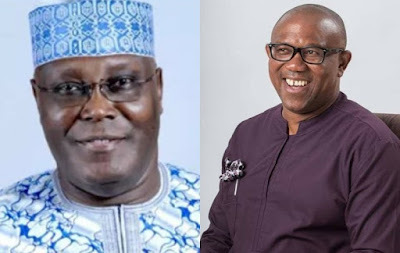 Reading the communique, Prince Uthman Shodipe declared that Atiku has been unanimously adopted as the candidate of South-West in the 2019 Presidential election. He said the Yoruba leaders remain cohesive and believes in the restructuring of Nigeria. Prof. Banji Akintoye who is the father of the day said the Yoruba nation is going through a high degree of poverty, hopelessness; “the type we have not seen before”. But he expressed confidence that the Yoruba people will rise up and fight the endemic poverty and hopelessness bedeviling them. Eddy Olafeso said the glory of the Yoruba nation which he described as one of the finest civilisations in the world is waning but all sons and daughters of the tribe must work together to arrest the drift. In attendance are PDP Governorship candidate in Lagos, Mr. Jimi Agbaje and his running mate, Mrs. Haleemat Busari, Advanced Democratic Party (ADP) candidate, Babatunde Gbadamosi and PDP governorship candidate in Oyo State, Engr. Seyi Makinde. Others are Senate Minority Leader, Senator Abiodun Olujimi, National Vice-Chairman, South-West PDP, Dr. Eddy Olafeso; former National Secretary, Chief Ebenezer Babatope; PDP Chairman in Lagos, Dr. Adegbola Dominic and Chairman, ADP, Barr. Adewole Bolaji. Others are Prof. Banji Akintoye, a foremost historian and Second Republic Senator; Dr. Remi Akintoye; Senator Kofoworola Bucknor-Akerele; Chief Aderibigbe Shittu; Alhaji Bayo Lawal; Dr. Saka Balogun; Mogaji Gboyega Adejuwon; Erelu Olusola Obada, Chief Sunday Oguntade, among others.